Comminutors can be used in wastewater treatment to cut up and grind the coarse solids into smaller sizes so that this will eliminate the problems caused towards downstream operations especially clogging happening in pumps. Different from bar racks and coarse screens, it does not involve having to remove any type of solid out from the flow system and thus void the necessity of messy jobs having to clean and handle on solid waste disposal. Its use and application is particular important in treatment plants located in cold climates areas whereby use of comminutors means there will not be any issue with collected waste becoming trapped on freezing screens. 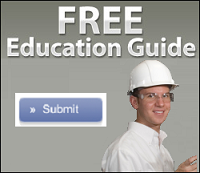 The devices are usually installed in wastewater pumping stations whereby its role is to protect the pumps from damage. Once the solids are reduced to smaller and more uniformed sizes, it can be returned and move towards subsequent processes without requiring the needs for manual jobs and manpower intervention to clear up the trapped waste materials. Although overall, this is seen as a time-saving operation with less disruption to the flow system, but however, since the solids are still present in water, subsequent agitation that usually takes place in grit chambers will again recombine it back to form lumps and strands. All these will pose potential problems related to clogging happening in heat exchangers, air diffusers in aeration pond and further buildup might even lead to pipelines getting choked up. There are different types and models sold in the market these days with different designs and configurations made to suit the application. Usually a preliminary study will be carried out to determine what types of solids are normally present and where the wastewater come from and especially from which industry that generates it. Normally based on this information, the manufacturer will build and sized it up accordingly to handle the incoming flow. A vertical rotating system is very common and a typical installation will usually have a revolving drum driven by a motor and inside it, there are multiple sets of moving teeth and shearing bars to tear apart the solids as it gets carried together with the wastewater flow. Other designs of comminuting devices will have individual circular screen rotating in the opposite direction and as large solids passes through, it will be subjected to the shearing force exerted by both the outer and inner screens. The small clearance between the moving and stationary screen will tear apart the solids reducing its size before it can pass through. Most systems these days are built right after the grit chamber in order to prolong the life of the moving parts and to reduce wear and tear occurring on the surfaces. Certain wastewater treatment plant will have both manual bar screens and the comminutors working together in parallel and depending on the incoming flow rates; wastewater can be diverted going to either one of it through bypass lines. Other problems related to its application is on the maintenance aspect as high wear and tear will often require frequent changing of the moving parts. Most of the time, this can be avoided if there are also rock traps built in at the upper channel to prevent material from damaging the cutting blades. 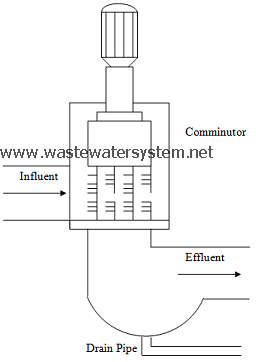 Head loss is also another issue as the wastewater passes through the comminutor and thus the overall design of the system has to take this into consideration. The best approach is to consult the manufacturers and bring up this issue and highlight it as part of the requirements.